Yesterday's Nintendo Direct had a lot to say about Super Smash Bros. Ultimate (I mean, A LOT), but they also revealed a sequel that we're super excited about. 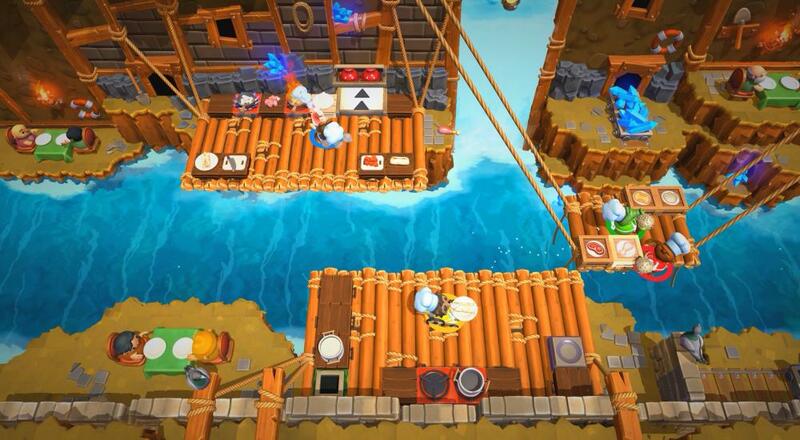 Overcooked 2 is coming to Nintendo Switch, PlayStation 4, PC, and Xbox One this August, and will now include online co-op play. WOOOO!!! Online play isn't the only new feature, though. There are new maps, new ways the stages will change and impede your cooking attempts, new recipes, more chefs from which to choose, and the ability to now throw things (which very much sounds like a mixed bag of fun). All-in-all, it's more Overcooked, which I'm 100% good with. Overcooked 2 will be available on August 7, 2018 for PC, PlayStation 4, Xbox One, and Nintendo Switch. All versions will support four player couch co-op, four player online co-op, or a mix of the two (i.e., "combo co-op") throughout the main campaign. The Nintendo Switch version will also support local wireless co-op play.